World War I in Colour is a Channel 5 documentary (6 x 50-minute episodes) made with the cooperation of the Imperial War Museum, designed to make the Great War come alive for a 21st-century audience. The events of 1914-18 are authoritatively narrated by Kenneth Branagh, who presents the military and political overview, while interviews with historians add different perspectives. The human cost is conveyed by moving interviews with the now very elderly survivors, and by extracts from letters and memoirs. All aspects of the war, on land, sea and air are covered in separate programmes. 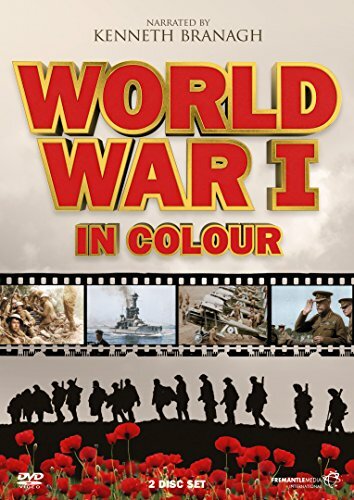 In theory the series continues the heritage of ITV's The Second World War in Colour (1999) and Britain at War in Colour (2000), and with 75 per cent of the material never shown on television before there is every reason to watch. 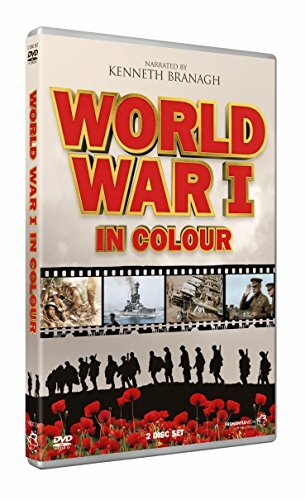 The crucial difference between this and the WWII programmes is that the Great War wasn't filmed in colour, and the footage has been computer colourised. The programme-makers argue the conflict itself was in colour--but however realistic the digital processing, it still feels inauthentic and historically a distortion. Worse still is their destroying the original compositions by cropping the top and bottom of the material to fit widescreen TVs. The result is a potentially excellent series badly presented, best watched with the colour turned off. Even then it cannot compete with the BBC's 26-part The Great War (1964), still one of the finest documentaries ever made. 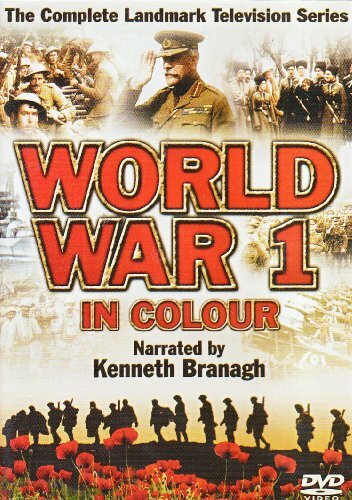 On the DVD: World War I in Colour is presented on two discs with three episodes on each disc. The modern interview clips look and sound immaculate, while the historical footage varies from very poor to quite good. Even so, the picture resolution is not helped by discarding a third of the original images and stretching what remains to widescreen. The budget spent on colourisation would have been better used to restore the often very scratchy black-and-white film, and to pay for an orchestra to rerecord the score, which is realised with a clichéd palette of preset electronic samples.